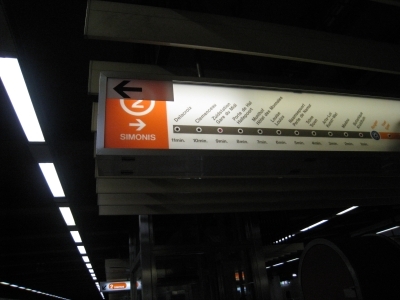 Puzzling correction by the Brussels public transportation company STIB / MIVB on Metro Rogier, Line 2, direction Simonis. 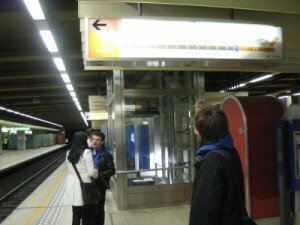 An arrow is added to the information board already displaying an arrow. If that one was corrected, why not replace it entirely? 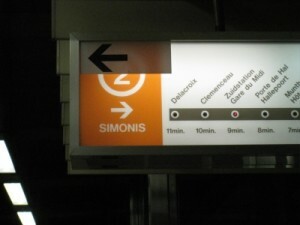 Or does this mean that the metro which runs in the direction of Simonis (as indicated by the original arrow) following the locations displayed on the right, departs on the left platform? What kind of complaint, or deep insight led to this mysterious intervention?